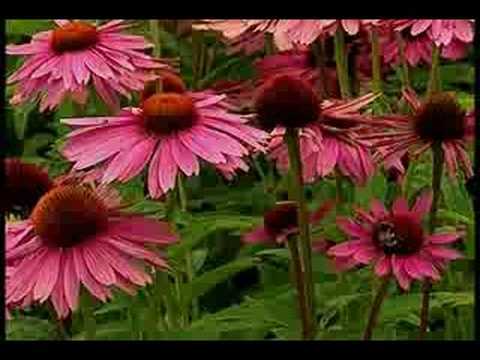 Here is another great video that discussed some excellent native plant choices that you can add to your native plant garden. And then of course there’s the Purple Cone Flower just finishing up this time of the year but nonetheless spectacular. And just look at this exuberant display of Black-Eyed Susans. It just seems like the more you turn up the heat, the better they perform. These showy flowers are particularly suited as companions to many of the native grasses which move so gracefully in the wind. .
With the huge growth that many cities and towns are experiencing we see the dwindling of Natural Meadows. With the absence of natural meadows, the habitat for butterflies, birds and other wildlife are dwindling too. Luckily butterflies are easily enticed back if you plant a garden where the caterpillar (pupa stage) has plants to eat and the butterfly has flowers to sip nectar. Butterfly gardens are easy to plant and will give you and your family a chance to see butterflies in their natural habitat. The basics are an open space with tons of sunshine and a shield from wind. Pick a site with lots of sunlight with a few rocks or stones that can heat up on which the butterflies can bask in the afternoon sun. Try to place your garden near hedges or shrubs that will help shield them from the strong winds. If it is too windy, the butterflies won’t stay around for long. The hedge or shrub could become food for the caterpillar. 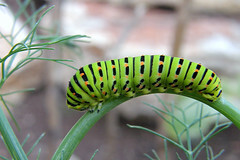 You can find out what the caterpillar likes best from your Nursery Garden Center. Butterflies love mud puddles where they can drink the water and soak up minerals. A patch of damp soil will make them happy. Most important of all is that the garden be pesticide free. Many people like to use pesticides to chase away unwanted pests, unfortunately it will chase away your butterflies too. Put your butterfly garden in a corner where there will be no chemical pesticides used. Better still, ask your Garden Center about organic gardening. 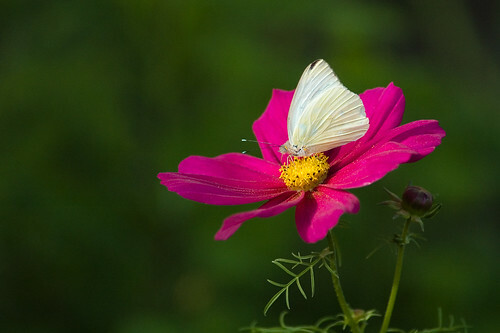 Flowers with nectar are a must for a butterfly garden. When planting these nectar sources try to put in plants that will provide flowers throughout the growing season since these are the source of food for the butterflies. Don’t forget shrubs and wildflowers. Roses, geraniums and lilies have no nectar so plant them somewhere else. Keep your garden diversified to attract the most number of butterflies. Another component for the garden is a source for larva food. The caterpillar needs food to grow into a butterfly. If there is no food supply they will die. Plant some herbs for both of you. They like dill, fennel, and parsley on the menu. What they don’t eat you can harvest for cooking with fresh herbs. You could also plant a butterfly site in garden containers. Buy some pretty pots and plant them with flowers that have a wonderful scent as well as bright beautiful colors (available at your Garden Center). Petunias, daylilies or sweet alyssum will do the trick. Of course the butterfly bushes are a natural, or plant some hanging baskets with Impatients (you’ll need some shade here). Some gardeners like to make there own feeder and solution. And it is simple to do. Put 4 parts water to 1 part sugar in a pot and boil it until the sugar dissolves. Let it cool. Get a shallow garden container, saturate a paper towel with the solution and place it the garden container. Put a stone in the garden container so the butterflies have a place to perch while they are feeding. Get the kids interested. Have them keep a journal of each of the different species that visit your butterfly garden. Let them look up the butterflies on the computer to learn all about each particular butterfly and it becomes not only fun, but a learning experience also. Since there are so many growing zones in the United States you will want to talk with your Nursery Center for suggestions of what plants to use for attracting butterflies in your particular zone. There is an old American Indian Legend about butterflies: “To have a wish come true you must capture a butterfly. Whisper to the butterfly what your wish is and then set it free. This little messenger will take your wish to the Great Spirit and it will come true.” What a great legend. I think this garden lady has some good information, and she does not beat around the bush-but gets right down to what you want to know! How to get great color in your garden and landscaping.